Great to finally see a car movie get some deserved recognition at the Oscars for once. And it isn't Fast & Furious, thankfully. A delusional Vin Diesel once said that the Fast and Furious franchise deserves to win an Oscar. We all laughed at him at the time, but to be fair modern car movies are very rarely mentioned in the same breath as the annual Academy Awards, with the exception of Mad Max Fury Road in 2016 which won six Oscars that year. Bullitt famously won the prestigious award for Best Film Editing in 1969 and was also nominated for Best Sound Mixing. The French Connection also won Best Picture, Best Film Editing, and Best Cinematography in 1972. But the fact is, they don’t make them like they used to, which is why you rarely see car movies get nominated for their technical achievements any more. We’ve ranted before about how modern movies resort to CGI stunts and quick-cut editing. Baby Driver finally changed that last year. Directed by Edgar Wright, the film was a love letter to old-school car chase movies, blending practical car stunts with masterful editing meticulously choreographed to the film’s excellent soundtrack. And it paid off, because Baby Driver has been nominated for not one, not two, but three Academy Awards for Best Film Editing, Best Sound Editing, and Best Sound Mixing. Considering how literally every shot in the film and its numerous chase scenes is painstakingly timed to music and the chase scenes flow cohesively without any quick-cut editing, we think it’s a well deserved achievement and hope Baby Driver comes out on top. “'Baby Driver' isn't in a genre that often gets mentioned for awards, so to say that my amazing team and I are thrilled with our three nominations is a huge understatement,” Wright wrote on Twitter. “Am so happy the hard work by my crew has been recognized.” However, it turns out Wright predicted that Baby Driver would get Oscar nominated during the making of the film. “Even though I didn't write this with Oscars in mind, I do remember saying in an early pre green light meeting at Sony that 'Baby Driver' was guaranteed a best Sound Editing nomination." And further to that, co-editor Jon Amos just reminded me on the phone that I said way back in 2015 (after a screening at the Prince Charles Cinema of 'Fistful Of Fingers') that he and Paul were going to get an Editing nomination for 'Baby Driver'. We had not started filming yet." 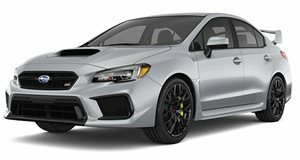 2016 Subaru WRX STI Review: If This Is An Amazing Car Why Do We Fear For Its Future? We loved our time behind the wheel of the WRX STI but came away concerned for its survival.